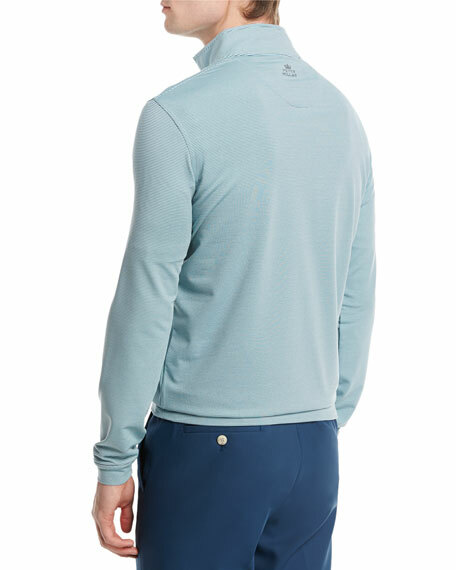 Peter Millar Crown Sport "Perth" pullover in mid-weight, performance French Terry that wicks away moisture. Stand collar; quarter-zip front with contrast trim. For in-store inquiries, use sku #2124668.